The birth of your baby marks a defining moment in your life with a new reason to love, and it’s a day you will never forget. Those first days home are a whirlwind; days and nights run into one another, and you get lost in the minutes and hours falling in love with your sweet newborn. You learn your baby’s every stretch, yawn, sigh of contentment and their sleepy, dreamy smiles. It’s those first newborn moments that pass so quickly, that you will want to hang onto and cherish them forever. 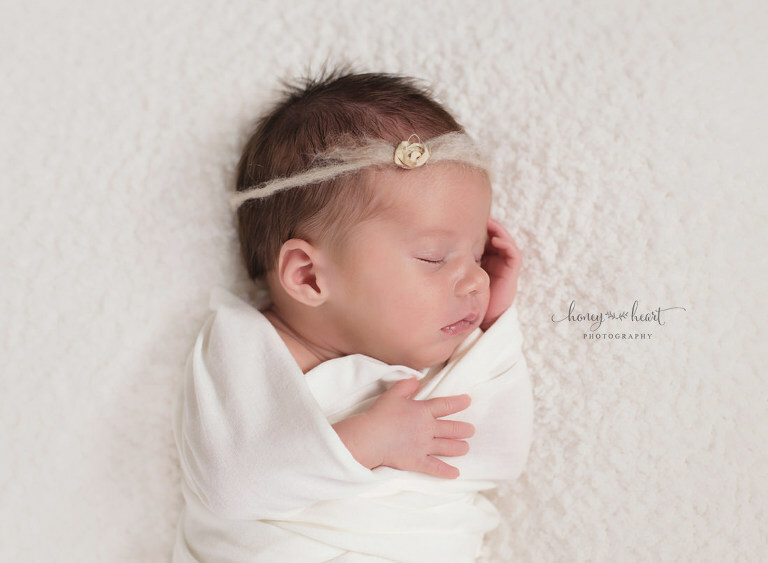 Newborn photography is the best way to still those fleeting newborn moments. It’s all about their dreamland expressions, cheeks, pouty lips, fingers, toes, milk spots and their cute button nose. Those are the details you will want to look at and remember! 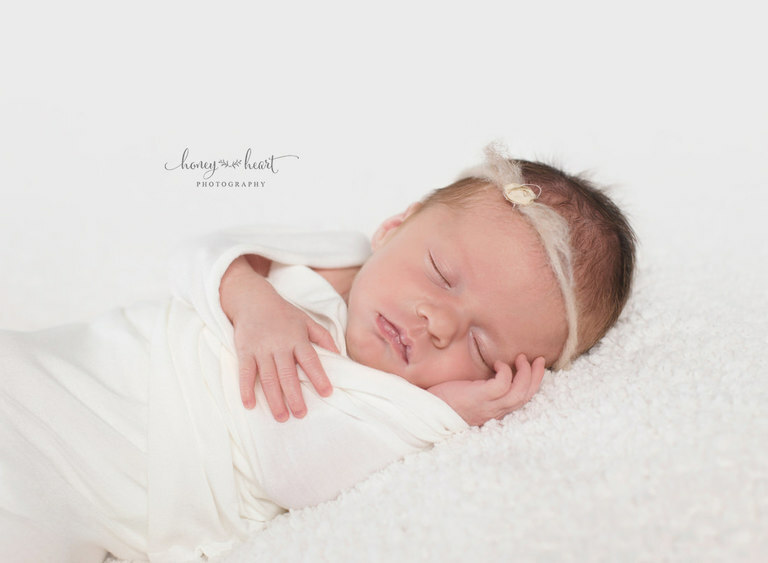 I’m a newborn photographer in SW Calgary AB. Your newborn session will take place in my home studio and is best completed within the first few weeks after your baby is born. The sweet spot to photograph your newborn is 5-12 days old. 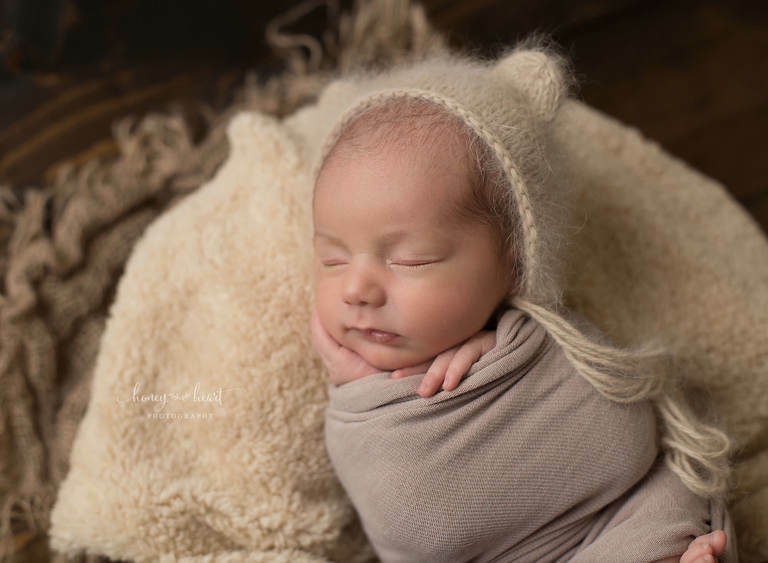 When they are that age they are still so new that they are still quite sleepy for their session, and we can get those sweet curled up poses, and if we are lucky some dreamy newborn smiles! 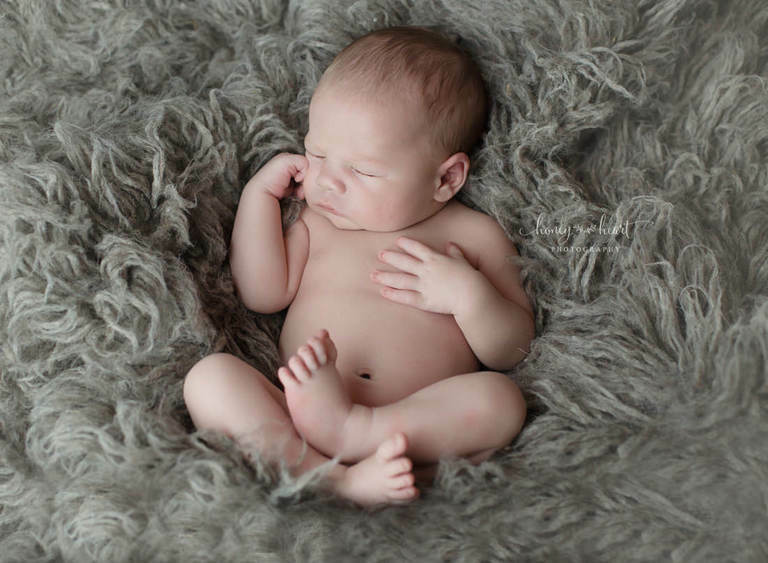 Babies are generally sleepier and like to be cuddled up during this time, which makes them easier to move into those beautiful newborn poses that we have come to love and adore. It is recommended that you reserve your newborn session while you are still pregnant, preferably during your second trimester. Reserved newborn sessions are penciled in by your due date, and then once baby is born, we will determine the exact session date and time. It is important to get in touch with me as soon as baby has been born (within the first 1-2 days after birth) so that we can get your newborn session scheduled. Newborn Sessions last approximately 3 hours leaving plenty of time for feeding and soothing baby as needed. Petite Newborn Sessions last approximately an hour in length. During your newborn session, you are welcome to sit back and relax and take the Honey Heart newborn experience all in. As your newborn photographer, your experience will begin with creative pre-session planning where you will be able to help me learn more about your style preferences, colour choices and vision for your photos. Then, after I receive your completed newborn questionnaire, I will begin selecting props, designing and coordinating set-ups to bring your vision to life within my style of newborn portraiture – natural, organic, timeless newborn photography. Soft, muted colours and lots of textures are incorporated into the styling of your newborn session based off our pre-session planning. 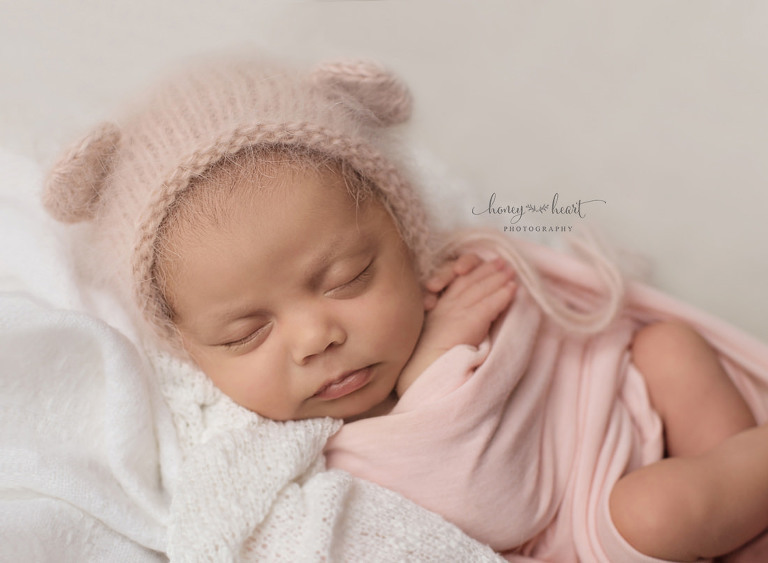 The studio closet is full of a beautiful selection of handmade boutique and heirloom newborn and baby hats, bonnets, outfits, wraps and headbands, backdrops, and props. My work has truly just begun. I will go through the images from your newborn session, and will edit them to create timeless works for art that you’ll cherish of your sweet newborn forever. 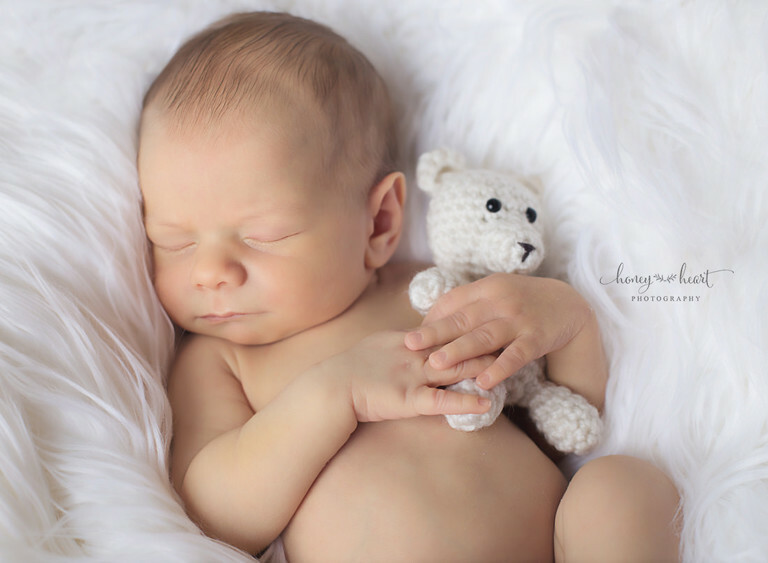 My favourite part after the newborn session takes place approximately two weeks after the completion of your session – your Newborn Gallery Reveal. A link to your private gallery will be delivered to you via email. You will be able to view all your hand selected and professionally retouched images, select your favourite newborn portraits and place your product order. After you receive your portraits of your sweet newborn, we can begin to plan your baby’s milestone sessions. 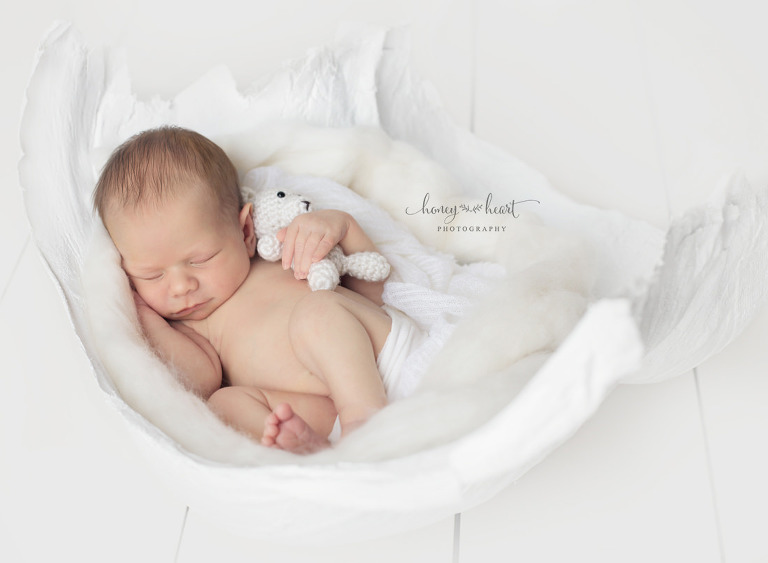 Ashley is a Calgary AB Newborn Photographer specializing in posed newborn photography out of her home studio.